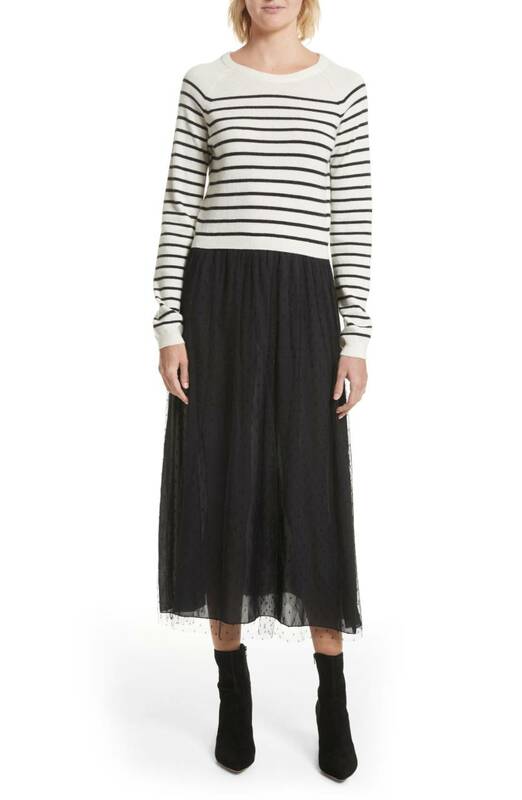 Sometimes it is the eensiest detail—like the striped hem here—that sells me on a dress. The super-low neckline of this dress is on the daring side; if it’s too much for you, throw on a pretty slip with it and you’re set. 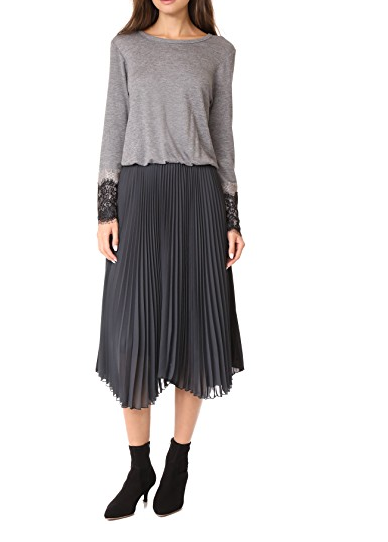 The casualness of the top half here contrasts appealingly with the more ladylike knife pleats. Just a fun print on a really easy dress. 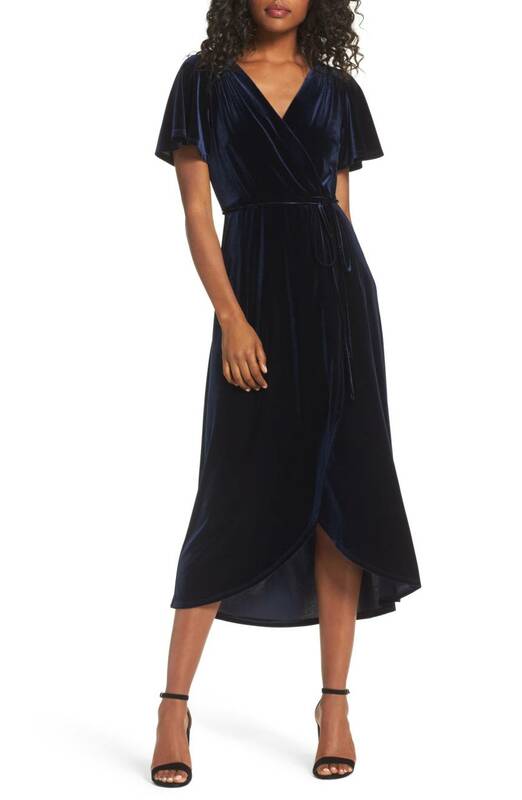 Velvet appears to be big again this season, and the cut here is so pretty and feminine. This has such a lovely drape thing happening, and I like that it looks like Maria Cornejo, but is less expensive than her stuff (while still not exactly cheap). 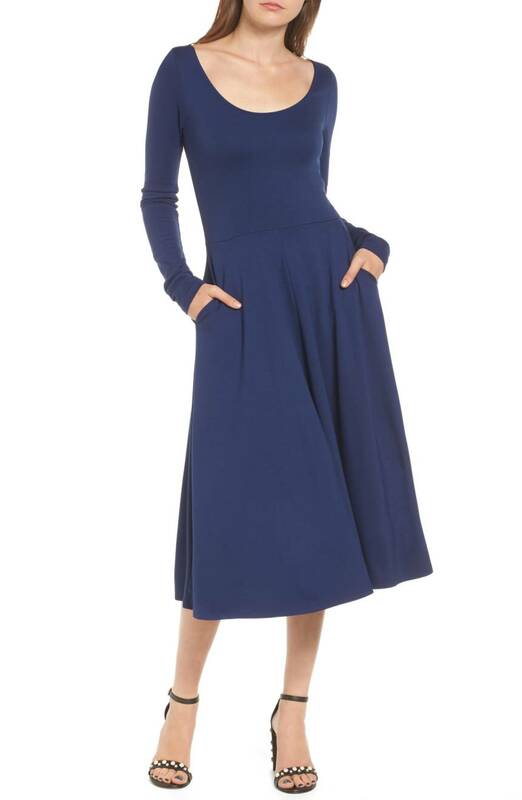 From Universal Standard: such good sleeves, and I like the asymmetrical hem. 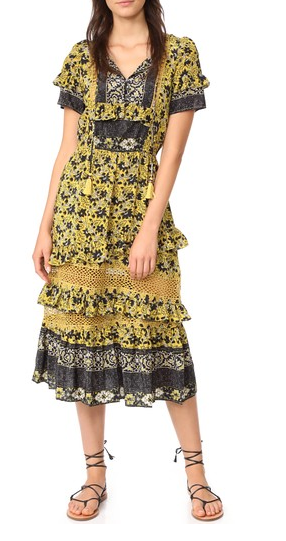 OK, this is a touch summery, but would look quite cute layered with a cardigan. From Maria Cornejo: such a lovely work-to-evening option. 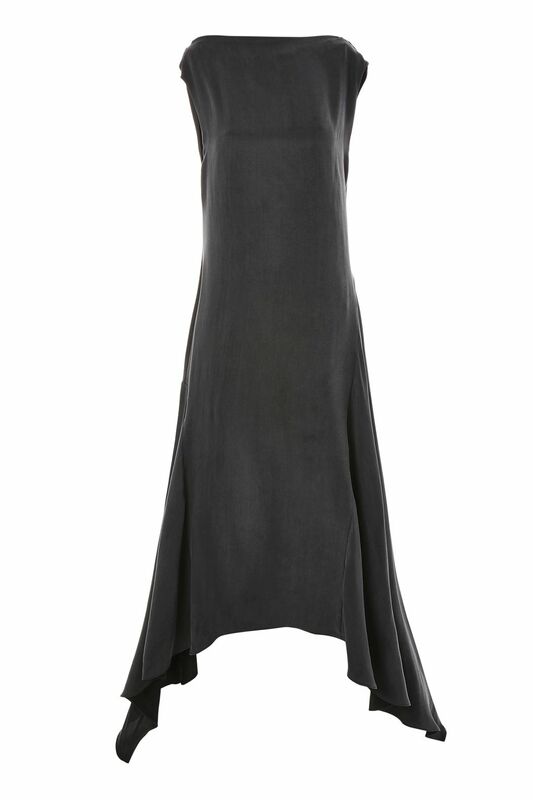 A very flattering silhouette, and I love that it has pockets. Just a really good floral print, and the cut is just so lovely. The ruffles here girly things up a bit. 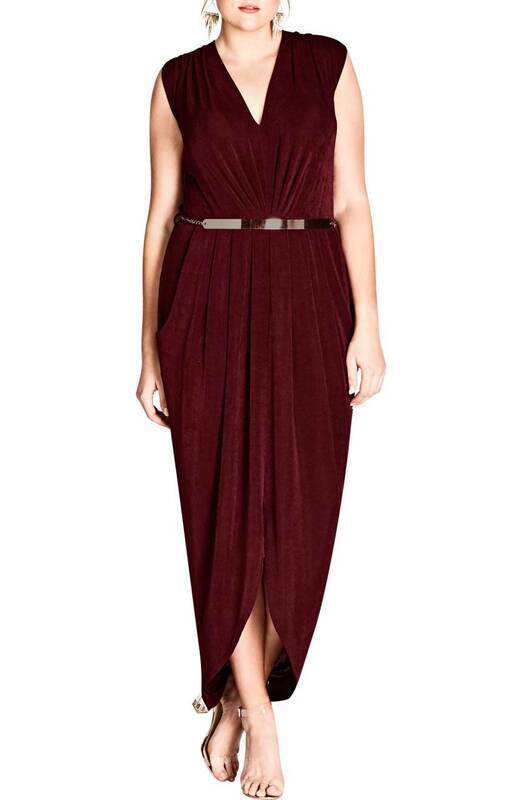 I’m dying for this dress: it looks so put-together but at the same time nicely casual. 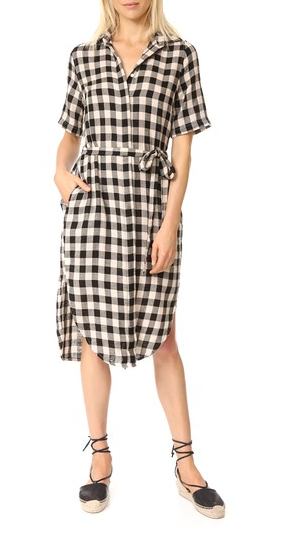 This flannel shirtdress would be so great with black tights and a little jacket. 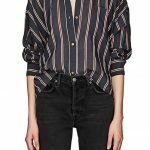 A perfect weekend option: I’d wear it with big old clunky flat boots. This has appealingly interesting lines. This drapes beautifully, and the color is great. I’d sub out the belt for something a wee bit less shiny, though. I am a big fan of anything that mixes yellow and grey. Such a good work dress. 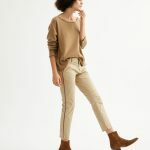 The khaki hue here is dead-on. Slightly Little House on the Prairie, but in an appealing way. This looks so much more expensive than it is. I do see waists and sleeves and elegant flowing hemlines that flatter the female shape. Love the longer hemlines and just a hint of leg. Many of these dresses would work for me. I’m loving fall already. I do see waists and sleeves and elegant flowing hemlines that flatter the female shape. Love the longer hemlines and just a hint of leg. Many of these dresses would work for me. I'm loving fall already. I am not often required to wear dresses so I was just casually zipping through these ideas until I hit the stripped top-looks like a two piece, but is a one piece––Valentino Red option. Love it. (except for the bow in the back) Definitely the kind of dress I would buy because it looks sooooo comfortable and sooooo wearable. Are velvet jeans going to be a thing this year? 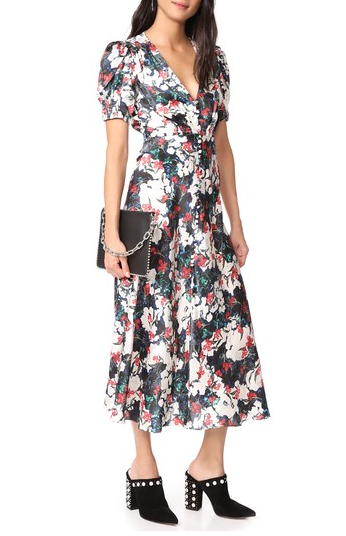 I am not often required to wear dresses so I was just casually zipping through these ideas until I hit the stripped top-looks like a two piece, but is a one piece––Valentino Red option. Love it. (except for the bow in the back) Definitely the kind of dress I would buy because it looks sooooo comfortable and sooooo wearable. Are velvet jeans going to be a thing this year? I was really intrigued by that dress, but if you look closely at the photos, the skirt looks very see-through. Wow, all terrific choices. Love the Leith one — can’t resist pockets. Wow, all terrific choices. Love the Leith one -- can't resist pockets. I’m overwhelmed by your choices for us!!! (I know, I know…we’re never satisfied!) 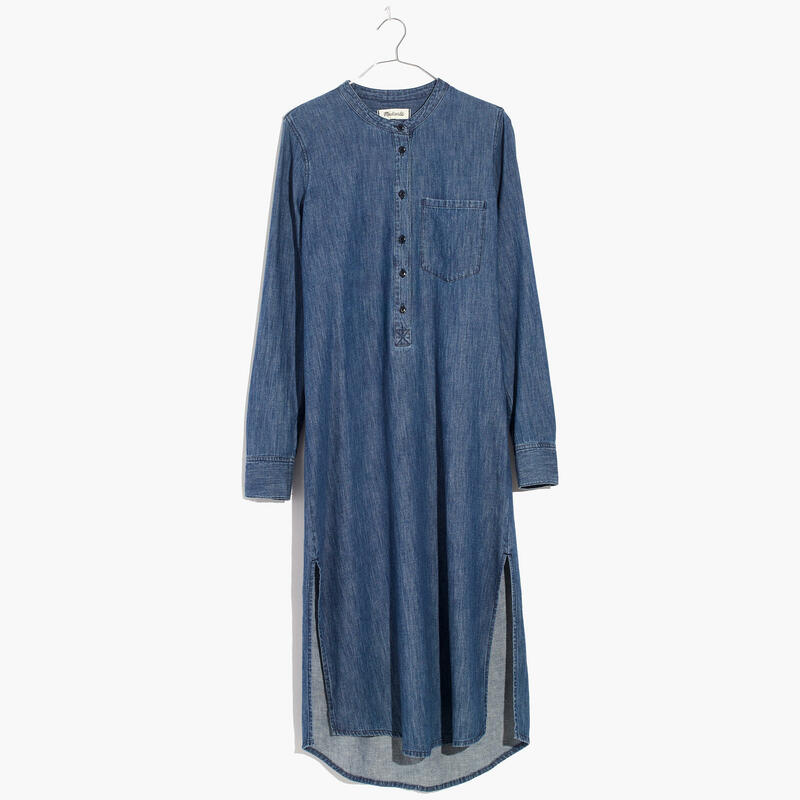 I love a good Shirtdress, and you’ve given some cute options. I might go for the black asymmetrical Universal Standard (also, because it feels good, albeit a fantasy, to be a size Small). I'm overwhelmed by your choices for us!!! (I know, I know...we're never satisfied!) 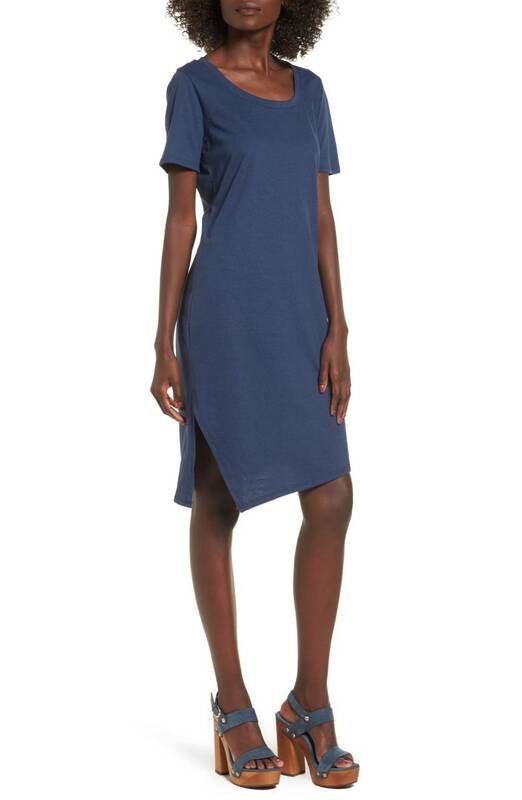 I love a good Shirtdress, and you've given some cute options. I might go for the black asymmetrical Universal Standard (also, because it feels good, albeit a fantasy, to be a size Small).